Our Montenegro office is one of IYC’s 14 strategically located offices in the world’s most prominent yachting destinations. Our services to yacht owners include yacht management, charter management, marketing agency services, crew management, and new build consultation. In everything we do, our approach puts intelligent decision-making at your fingertips. It’s your choice. Get in touch and we’ll help you make the right one. 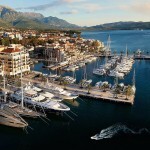 Learn more about Montenegro yacht charter here.